I carry around a pocket Kehati mishna in order to have something to learn in my downtime. I often find interesting words there, particularly ones that I find used in modern Hebrew as well. From time to time, I’ll share here words that I find there. Today I was studying Masechet Shekalim, Perek 5, Mishna 2. The Mishna mentions that there must be seven אמרכ(ו)לין – amarkalin – to supervise the finances in the Temple. Common translations are officers, trustees or supervisors. I’m familiar with the term from my work in a government ministry in Israel, where the office managers were called amarkalim. The rabbis give a different explanation. Rabbi Yehuda in the Tosefta for Shekalim (2:15) and Rav Hisda in Horayiot 13a, explain the origin as “מר על הכל” – he who commands all. That was certainly the case of the amarkalim where I worked! One word that it does not seem to be connected to is מרכלת – markolet, meaning market place. That word has an origin in the Bible – Yechezkel 27:24. 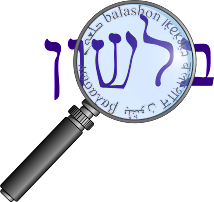 The source for markolet is רכל, to trade, and is connected to the word for gossip, רכילות – rechilut. When I first moved here I often got makolet (grocery) and markolet mixed up, but haven’t heard the term markolet much recently.